Figure 1: The components of the original expandable liner hanger system include an integral liner hanger/packer assembly combining an upper tie-back receptacle with elastomeric elements bonded directly to the hanger body. 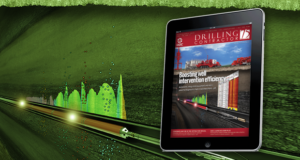 When drilling offshore wells, wellbore casing strings larger than 13 5/8-in. typically are required to be “hung off” in the casing hanger at the wellhead. To date, this has been the most widely used method, although it is a time-consuming and usually a very costly approach. 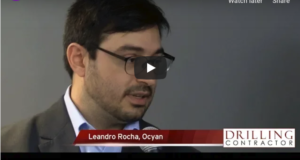 To alleviate time and cost issues, a new expandable technology has been developed as an alternative to the conventional approach. The new solution is an expandable large-bore liner hanger that allows an operator to set a liner instead of a full string of casing. Successful applications of the new large-bore expandable liner hanger were first run in other parts of the globe, and plans for operations within the Gulf of Mexico region were then initiated. • Having run-in speeds with no mud loss. These features are expected to increase well life and reduce future remedial work to the well. 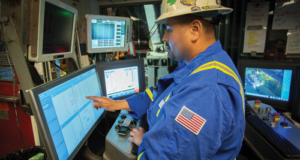 In addition, by eliminating the requirement to precisely space out liner jobs on floating rigs in deepwater regions, the pressure integrity issues often experienced with conventional systems can be alleviated. With expandable technology proven as a result of its capability to reduce problems experienced with traditional liner hangers in difficult wellbore scenarios, the time had come to pursue large-bore expandable liner hangers.The main com ponents of the expandable liner system are an integral liner hanger/packer assembly combining an upper tie-back receptacle with elastomeric elements that are bonded directly to the body of the hanger. Figure 1 shows the basic components of the original expandable liner hanger system. The bonded elastomeric elements compress against the parent casing as the hanger expands; this action virtually eliminates any leak paths between the liner, liner hanger, and previously run casing, maintaining the pressure integrity of the wellbore. A compromise lies within the design of conventional large-bore liner hanger technology in which increased tensile capacity will decrease the flow area, creating higher pressures during cementing operations. Large-bore expandable liner hanger technology answers this compromise with a slick-bore outer diameter and an extensive collet design to handle tensile capacities without giving up the flow area needed to achieve a successful cement job. Restrictions for conventional equipment lie within the landing profile needed to create the seal between the casing hanger and parent casing, creating tight tolerances and a place for debris collection and pack-offs. With expandable technology, the restriction is eliminated until expansion after the cement job. In order to reach total depth with large casing sizes, operators usually begin their well plan using large-diameter casing that would be anchored at the seabed.When drilling offshore wells, typical wellbore architecture will require that casing strings larger than 13 5/8-in. be “hung off” in the casing hanger at the wellhead. Table 1 shows specifications for the Eni Triton hanger. The hanger was designed to fit through a restriction introduced by a high-pressure wellhead housing while maintaining flow area and pressure integrity. 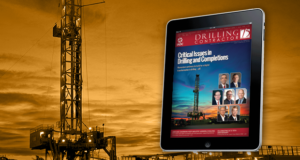 Wellbore architecture for deepwater drilling generally uses 36-in. x 20-in. x 16-in. x 13 5/8-in. x 11 7/8-in. x 9 7/8-in. x 7 3/4-in., or 36-in. x 28-in. x 22-in. x 18-in. x 16-in. x 13 5/8-in. x 11 7/8–in. x 9 7/8-in. x 7 3/4-in. strings, or some variation. Aside from the 36-in. casing, all of the top casing strings through the 13 5/8-in. are typically landed and “hung off” at planned depths in casing profiles located at the wellhead or prior casing strings (parent casing). The 20-in. and 13 5/8-in. casing generally will be landed out in the wellhead versus the 26-in. or 28-in. casing, and the 16-in. or 18-in. casing sizes will usually be landed in profiles located in previous casing strings. Not landing in wellhead profiles is where the problem occurs. Landing in previous casing string profiles tends to restrict flow and build up debris and pack off around the profile. This causes problems with the cement job and can interfere with a proper seal. The 16-in. x 20-in. and 18-in. x 22-in. expandable liner hanger systems were developed to eliminate these issues. In the first job in the Gulf of Mexico (GOM) to set an expandable liner hanger in the previous casing without a landing profile, the large-bore expandable liner hanger provided the flexibility of placement of the liner, which offered reliable support and proven redundant sealing technology. 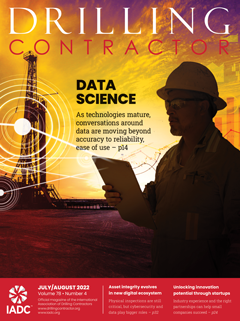 The capability of rotating and reciprocating during cementing operations enabled an enhanced cementing performance. Additionally, the large-bore expandable liner hanger improved operational economics by requiring less casing in the well, simplifying proper seating in deviated wellbores and eliminating the need for a proper space-out before running the liner to reach the planned destination. The development began with an idea to provide solutions for a major customer in Baku in 2007. They wanted the large-bore expandable liner hanger to provide a quality seal at the wellhead with the flexibility of placing the liner. 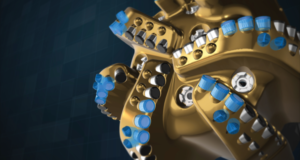 After the successful installation of five runs in other areas, Eni decided that this method could provide a suitable solution for a difficult wellbore scenario in the Triton Field in the GOM. The newest obstacle for the liner system was the restriction introduced by the high-pressure wellhead housing that had a 17.574-in. drift restriction. Prior to introduction of the large-bore liner hanger, the largest diameters that would pass through this restriction were the bit/hole opener (17.50-in. nominal) and the 16-in. conventional hanger. The large-bore hanger was designed to fit through the restriction while maintaining flow area and pressure integrity. The specifications are shown in Table 1. With +/-20° deviation at the 20-in. shoe and a +/-54° deviation at the 16-in. shoe, the large-bore expandable liner hanger became the prime candidate for the upcoming job. After receiving exceptional performance from expandable liner hangers in the past, Eni was optimistic about improving their chances of a successful job by using the 16-in. x 20-in. large-bore expandable liner hanger. Due to the likelihood of cement presence above the top of the liner, the lead pump time was extended by 24 hrs, and cement volumes were increased. More volume typically reduces contamination; thus, good cement properties (right-hand set, good ultimate compression, and low fluid loss with “tight and flexible” properties that prevent annular flow) are maintained. For the purpose of simplification for the first run in the GOM, surge-reduc tion equipment would be left out of the plans, but future use of this equipment was anticipated. Figure 2 shows components of the large-bore expandable liner hanger running tool. 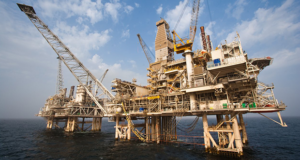 The significant advantage for large-bore expandable liner hangers lies within deepwater operations with elevated costs in rig time and delays due to complications during mudline/casing hanger installation. Deviation will cause unreliable seals where casing is to be “hung off” and differential pressure will cause the liner to prematurely “stick,” not allowing the casing hanger to reach its ultimate destination. Large-bore expandable liner hangers help to reduce risks by 1) having redundant, reliable and proven seals that expand against the previous casing internal diameter, 2) by being capable of working casing to depth with high-torque capabilities, and 3) by not requiring advanced space-out designs. 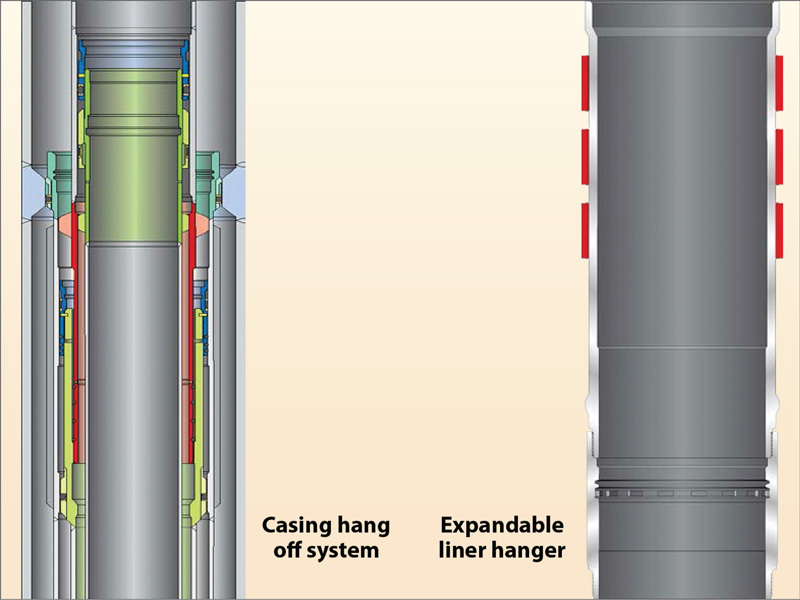 Figure 3 compares the complex conventional casing hanger system with the simple large-bore expandable liner hanger. Benefits of the LBELH include eliminating the need to land the 16-in. liner at a fixed point in the wellbore. With deviation playing a key role of “spoiler” when trying to get the conventional casing hanger to the desired depth, the LBELH can be set at whatever depth gives the best integrity to the string. The capability to rotate and reciprocate during the cementing job would prove beneficial with high deviation at the liner shoe. Additionally, the large-bore expandable liner hanger will hold its rated anchor loading in both directions; whereas traditional designs do not have the capability to hold forces applied from below, thereby allowing the liner/casing to rise. This feature could become even more significant as development moves into deeper environments. Eni ran the first large-bore expandable liner hanger assembly in the GOM on 13 May 2010 with the installation of a 16-in. x 20-in. system. At the time of deployment, this was the second system run in the world (the first being in Baku). The job was a success and was considered an “enabling” technology for this well. The well was highly deviated at 55° in the 16-in. section with a shallow kick-off, which was not the typical well configuration in the Gulf. The usual recipe with a conventional 16-in. casing hanger would not suffice for this atypical well. In previous wells, the cement job would be performed, and then a pack-off seal would be made. • Liner top at 7,703 ft MD/7,684 ft TVD with an 18° deviation. The chances of landing on the 16-in. casing hanger were good when there was no deviation, and the chances for successful landing dropped with increasing deviation. Because of the difficulty associated with deviation of getting a good seat, pulling the 16-in. would likely have caused swabbing and well control issues. 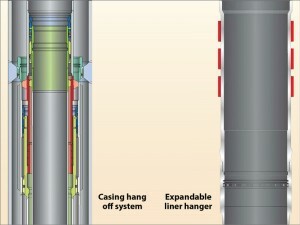 Figure 3: Comparing the complex conventional casing hang-off system and the simple large-bore expandable liner hanger, the expandable liner hanger reduces risks through redundant seals and high-torque capabilities. Because of the design of the profile in the 20-in. casing and debris buildup in restricted areas with possible pack-offs, losses while running and cementing were frequent. Acquiring a seal would be a challenge because restricted areas can be full of debris and will flow back due to losses to the formation. This event complicates setting the seal due to piston force. The benefits gained by using the large-bore expandable liner hanger would include high torque and tensile capabilities, no need for a predetermined depth or space-out, improved cement jobs because of no restrictions and less chance of losses, inner string cementing replaced by conventional cementing with drill pipe darts and casing wiper plugs, and time savings. 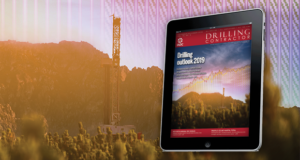 With wellbore deviation one of the key factors in the development of the LBELH, the new technology is now considered an enabler for the completion of deviated wells and shallow kickoffs. 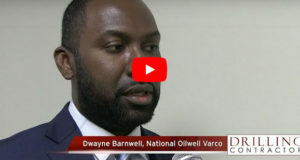 With the use of a conventional system in this scenario, the well path and/or surface location would have had to be changed, costing an additional $20 million to $30 million. One of the most exciting advantages was the fact that the deviated well path that could be used led to the discoveries of new shallow reserves, which were otherwise hidden by salt in vertical drills. 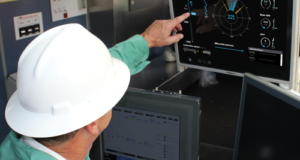 While best practices are not always to test new product lines on key wells, the warranted the use of the new LBELH technology. 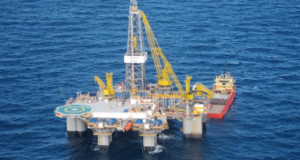 Although the Triton well was atypical for the Gulf, the development team met all challenges, and the installation of the first LBELH for the GOM was completed successfully in May 2010. In deepwater operations, fighting a loss of returns, setting the hanger at a predetermined depth and establishing a seal between the 16-in. and 20-in. casing are always concerns. Assuming the 16-in. hanger would reach the predetermined depth, the restricted clearances involved in a profile hanger still cause concerns of accumulating debris and packing off. Without movement because of fear of being stuck off seat, a pack-off would continue to get worse as more cuttings would try to pass the pack-off. Since the large-bore expandable liner hanger does not land on seat and does not reduce wellbore clearance prior to cementing, debris and cuttings are allowed to pass without restriction. 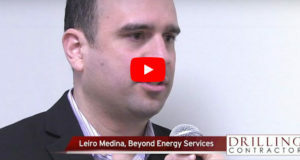 Reciprocation and rotation during the LBELH job are possible, which comes into play when reciprocating to break pack-offs and maintain returns, creating a significant operational gain. The adaptation of surge reduction is straightforward. The logic for an improved cement job is still viable, especially since the primary objective is generally to obtain a good shoe leak-off. Another consideration is that it is not necessary to run and pull the inner string during cementing, which saves rig time. 1. 100% of inner string savings: 10/24 x $1.3 million (100%) = $540,000 . 5. 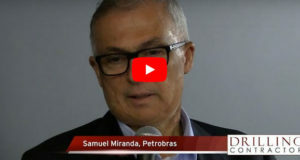 Due to losses on a cement job, Eni could also have incurred a plug and abandonment liability, which would then have required perforating and squeezing cement into the 16-in. x 20-in. annulus. 6. Estimated additional rig cost for two days would be $2.6 million. 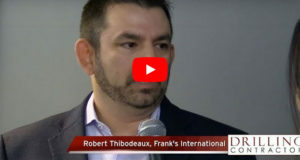 If plugging could not be initiated immediately, bringing the rig back for re-entry would add an additional $7.8 million (six days) to the OPEX. The successful installation of the first large-bore expandable hanger in the GOM was completed in May 2010. An improved cement job resulted from the reduced equivalent circulating density combined with the rotation and reciprocation capacities of the hanger. By enabling a more efficient cement job, it is expected that the life of the well will be improved, and the need for future remediation work will be reduced. An additional benefit from the use of expandable liner hangers on deepwater floating rigs is that there is no requirement of space out of the liner. This eliminates pressure-integrity issues that can occur with conventional systems when space out is improper. The 16-in. x 20-in. large-bore liner success has solidified ENI’s future plans for continued use of the large-bore liner hanger. 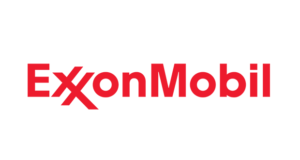 Acknowledgments: The authors wish to thank the management of Halliburton for their encouragement and permission to develop this article as well as to the management of Eni for allowing Halliburton to use this new hanger technology to prove its advantages in the deepwater arena. Cantu, J., Smith, P., Nida, R., “Expandable Liner Hanger Application in Arduous Well Conditions Improves Reliability: A Case History,” paper SPE 88510 presented at the 2004 SPE Asia Pacific Oil and Gas Conference and Exhibition held in Perth, Australia, 18–20 Oct.
Jimenez, C., Soto, S., Leon, A., Batocchio, M., Marval, P., Schoener-Scott, M., “Case Histories: Implementation of New Liner Hanger Technology in South Central Venezuela Significantly Improves Operations in Complex Wells,” SPE 118387 presentation at the 2008 Abu Dhabi International Petroleum Exhibition and Conference held in Abu Dhabi, UAE, 3–6 Nov.
Moore, M.J., et al., “Expandable Liner Hangers: Case Histories,” paper OTC 14313 presented at the 2002 Offshore Technology Conference, Houston, Texas, USA, 6-9 May. Nida, R. et al., “Innovative Expandable Liner Hanger Application Saves Time on Pinedale Anticline Drilling Operations: Two Case Studies,” paper SPE 90192 presented at the 2004 SPE Annual Technical Conference and Exhibition held in Houston, 26-29 Sept.
Johnson, M., Ardoin, K., Bullard, B., “Large-Bore Expandable Liner Hangers Significantly Improve Operational Cost in a Deepwater Gulf-of-Mexico Well,” paper OTC 21925 presented at the 2011 Offshore Technology Conference, Houston, 2-5 May 2011.